Okay, Boris; now you’re just taking the piss. Yep, not only are the insanely prolific Japanese outfit releasing two new albums simultaneously, but in the case of ‘Heavy Rocks’, they’re also recycling the title of an old one. Still, said record does exactly what it says on the tin, veering between fuzzed-up garage rock stomp and mesmeric psychedelic sprawl in a manner that’s sure to delight fans of 09’s ‘Smile’. 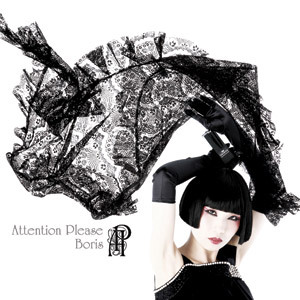 More intriguing, however, is ‘Attention Please’, in which guitarist Wata assumes the role of lead vocalist, her honeyed tones providing some of the band’s most outwardly ‘pop’ moments to date. Stunning.